From the sculpted topiary at Hidcote Manor to spectacular summer container planting at Powis Castle and stylish contemporary border planting at Packwood House, the gardens of the National Trust are a fantastic source of inspiration for gardeners of all standards. 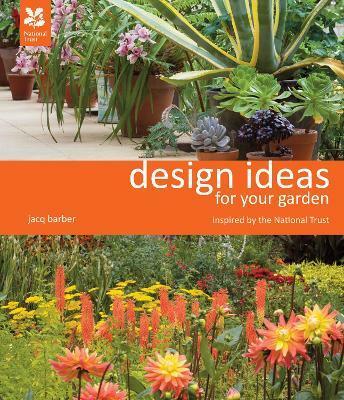 In this book, keen gardener and design historian Jacq Barber shows how different elements in the National Trust's gardens can be applied to your garden - whether it is large space, courtyard or just a balcony. National Trust Head Gardeners give unique insights and tips throughout, showing you how to apply their expertise to reinterpret your garden while still retaining your own individual creative style. With chapters on how to introduce design elements of structure and texture, what to plant in each season to bring colour to your garden throughout the year, how to use various water features and imaginative plant combinations for pots and containers, along with advice on delicious edible planting and creating wild flower gardens. This practical guide is a sumptuously illustrated, inspirational source of creative ideas that can be adopted and adapted to suit all gardens, no matter what their size, shape or budget. Design historian Jacq Barber is a writer and lecturer with a keen interest in gardens and gardening. She spent nearly a decade working at the National Trust, promoting and visiting many of the gardens featured in this book which have provided endless inspiration for her own garden in the Cotswolds.